10-Second Book Reviews: Are You a Victim or an Adventurer? I’m don’t typically review fiction; however, the Alchemist is so inspiring because it represents the potential for greatness within a shepherd boy. That destiny lies dormant in everyone, but only a few are determined to go after their dreams and give up comfort. The average person settles for what is comfortable and then lives with regret. This story explains how the universe conspires to give you whatever you desire only if you are determined. Don’t settle for mediocre. Everything leads you to your personal legend. Santiago, the shepherd boy in the story, became a shepherd because he wanted to travel. At that point life, life was good and comfortable. Yet instead of staying in his comfort zone, he learned that his time as a shepherd was simply a step towards his Personal Legend. 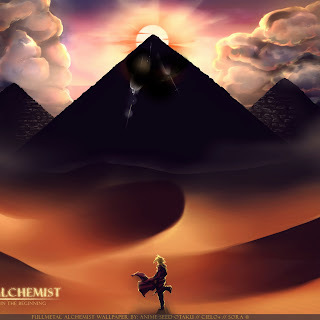 The shepherd boy meets a king who tells him of a treasure at the pyramids. The king tells him that what we mistake for beginner’s luck is actually the principle of favorability. There is a force that wets one’s appetite for success. The boy decides to seek out his treasure. The boy sells his sheep in order to travel from his home in Andalusia to North Africa. Upon arrival, and young thief steals his money. Most people would take that opportunity to go home feeling sorry for themselves. Instead, the boy had to choose between being a victim or an adventurer. The boy began working for a crystal merchant who struggled to make sales for thirty years. Over a year, the boy increased business for the merchant and earned enough to buy his flock back. The boy inspired the crystal merchant who dreamed of traveling to Mecca, the holy city. After the boy left the merchant, he met an Englishman who told him of an alchemist that live in a desert oasis. They traveled with a caravan to the oasis where he met a girl named Fatima. He felt tempted to give up on his search and settle down with her. Fatima told him that she wanted him to keep going towards his goal. If he returned without going after his personal legend, he’d walk around night after night. And Fatima would be unhappy because she’ll feel that she had interrupted his quest. Santiago the shepherd made the decision to push past the desire to remain comfortable. As a result, he kept pushing until he found his treasure. Family and friends will tell you to find a steady job with mediocre pay. As you make money you will feel that you are making progress, but deep down you will feel regret every day. You gave up on your Personal Legend because you feared the unknown. Live like you’re going to die next year. Keep f*cking going and find your Personal Legend.